Hem te vergeten? To forget him? 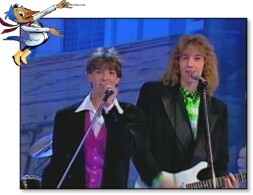 Chris Peeters would actually be gituarist behind Clouseau, but fell ill. He was replaced by Jan Leyers.